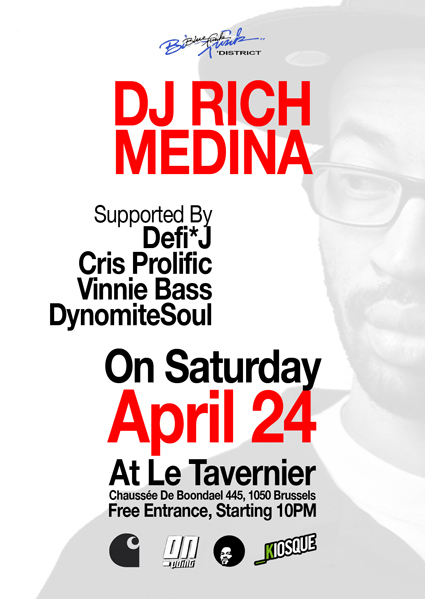 If this is true and you are around Brussels this weekend, then you ought to sell your soul to the producer and DJ from the USA. As a DJ he enjoys a huge reputation for playing funky sets, that travel from Hip Hop to Jazz, from Broken Beat to Soul. Within his Jump N Funk club nights in Philadelphia he also fraternized House with Afrobeat. Thats why some call him the godfather of Afro House. But not only as a DJ, also as a producer for acts like DJ Spinna, King Britt, and Platinum Pied Pipers this joker earned some worldwide applause. In the capital city of Belgium he plays now for free admission together with local DJs like Defi*J or Cris Prolific, who come around to make sure that your souls will get enlightend before and after his showtime too.